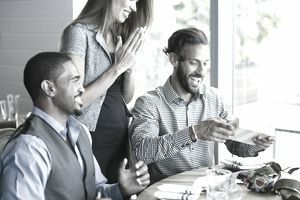 There are no formal business etiquette “rules” that require anyone to give a gift to a co-worker or boss, but many people do exchange gifts at work. It is important to remember that giving the wrong gift can convey a message that is too personal, romantic, or even offensive. You also run the risk of making the recipient feel uncomfortable if they do not offer you a gift in return, or alienating co-workers if your gift seems excessive. Never give your boss or a co-worker money, however, gift cards are acceptable. Money should only be given by the company or employer when it is given as a taxable bonus, not as a personal gift.